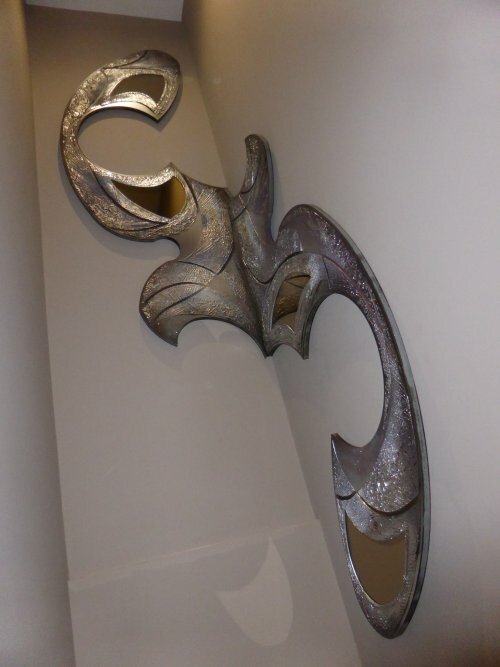 Wall sculpture in two pieces fitted in to a corner, making it a very unusual piece. The sculpture incorporates bronze mirror pieces creating a new dimension and extra reflection in addition to metallic finishes through out. It stands off the wall by about 1” which makes it look like it is “floating”.